Its time for our first ever Summer RV trip across southern Colorado! Wednesday we headed down to Golden to pick up our rental RV. We had tried to rent a smaller RV thinking it would be easier for me to drive. But, they were all out so we were stuck with the big 32 foot machine. But, as it turns out it was easy to maneuver and we enjoyed having the extra space. 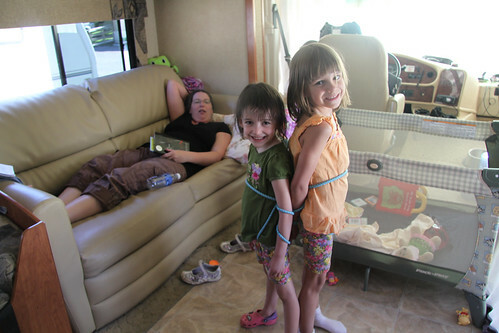 As soon as we drove into the driveway the girls immediately began filling the RV with all their crap. This meant all their guys. The cool thing about RV’ing is that you are not confined to a car seat for the drive. The kitchen table had built in seat belts so the girls got to play games and make crafts while we drove. The ride in the back of the RV did get a little bumpy at times. Especially as Daddy was getting used to things. At one point, he took a wide turn and we all flew to the side. With no compassion for her poor Dad Sydney yelled, “Learn to drive this thing already!” That gave us all a smile. First stop for the trip was to be Lake City, Colorado. 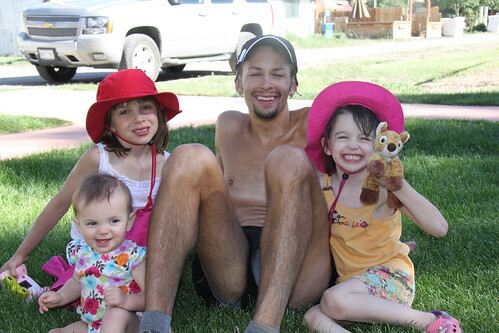 Daddy would be running in the 50 mile San Juan Solstice as training for Leadville this August. Lake City was a pretty small town with a cute little old west feeling downtown area with a few shops. The big draw for the kids was the playgrounds. 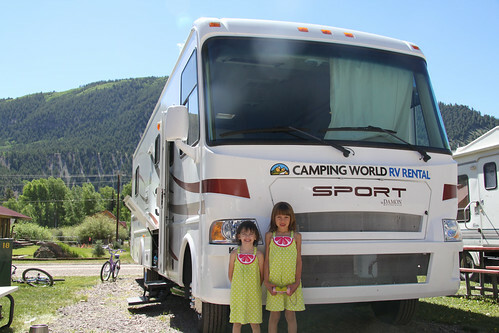 Here is a picture of the girls with the big rig at our Lake City Campground. 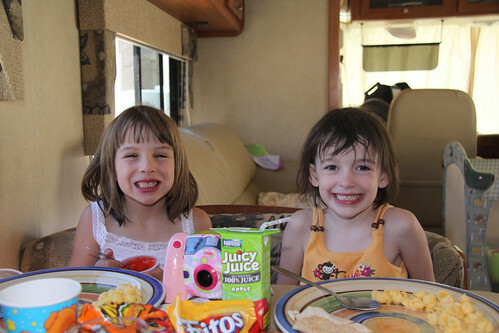 A glimpse at meal times in the RV. 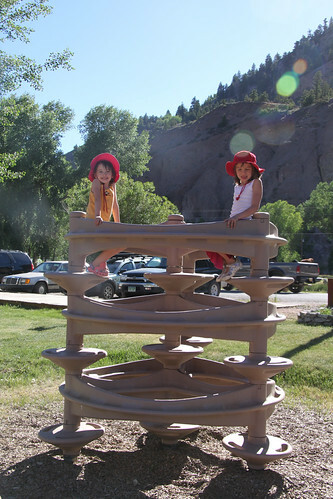 RV parks don’t always have a lot of entertainment so we had to make up some of our own for the kids. For me this meant trips to the playground or walks. But Brandon had his own activities. Come to think of it this may come in handy in the future. During the big race we hung out at the city park to cheer on the runners as they stumbled over the finish line. 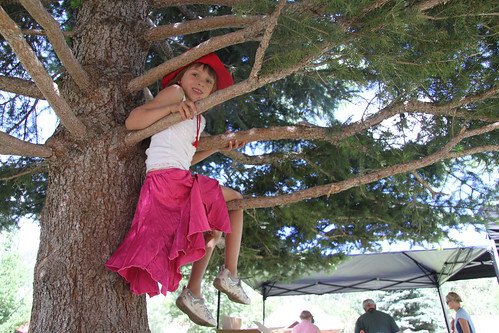 Sydney found some great climbing trees to kill some time. Then as Daddy came across the line his girls where there to cheer him in. Here is a picture of the gang post race. Enjoy some video the girls took while in Lake City. RV Trip – Lake City from Brandon Fuller on Vimeo. The next morning we woke up and packed up so that we could head out to the next destination. Stay tuned for more!